Found 2 file extension associations related to Amarok and 1 file format developed specifically for use with Amarok. 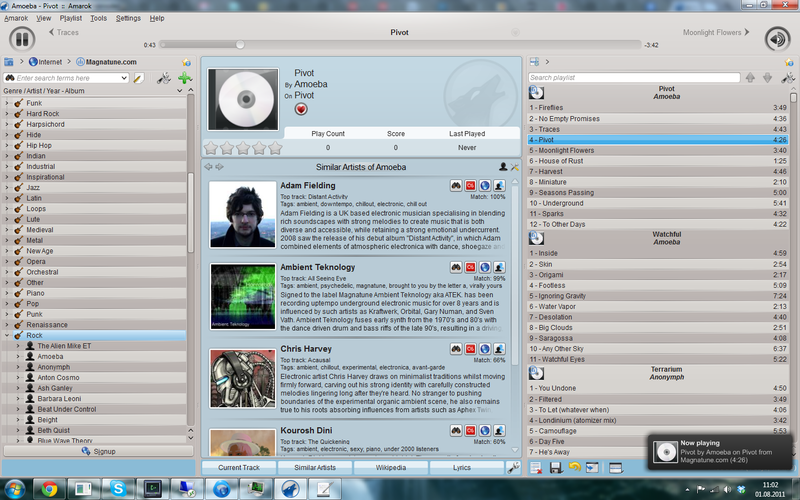 Amarok is a powerful music player for Linux and Unix, MacOS X and Windows with an intuitive interface. It makes playing the music you love and discovering new music easier than ever before - and it looks good doing it! If you need more information please contact the developers of Amarok, or check out their product website.